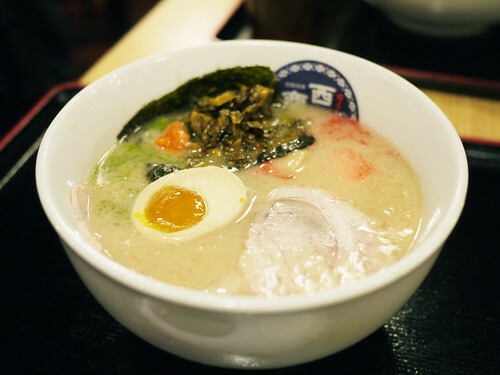 In brief: The only ramen joint in the Flatiron, it's passable and almost always packed, worth it if you need a craving fixed. We're not going to complain because before we didn't even have any ramen options and at least now we have one, Terakawa. But can I just say the place is always a bit hectic with the loud, though incredibly friendly, waitresses, closely packed tables and constant turnover. Nevertheless, after spending a week battling a heavy cold, a hale and hearty bowl of ramen noodles was just the right thing.